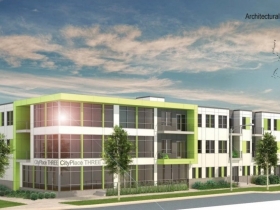 City Place – Phase 3 Rendering. 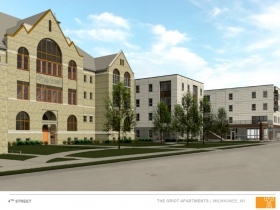 Rendering by Korb & Associates. 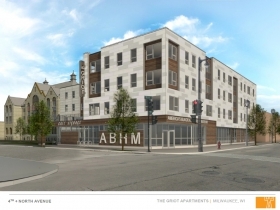 Today the Milwaukee Common Council approved a number of real estate projects and programs. 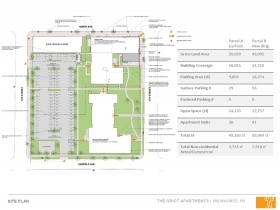 Detailed zoning changes and land sales were granted for apartment proposals in a variety of city neighborhood ranging from the Park East to Halyard Park. The council also okayed a program to turn city-owned foreclosed homes into taxable properties owned by artists. The council approved a pilot program that allocates $100,000 so artists can leverage no-interest loans to turn city-owned homes into community hubs. The first participant in the program will be Vedale Hill. Hill, through rent-to-own firm Strong Blocks, will purchase a home in Bronzeville and operate an art studio in the space. The program was introduced as an amendment to the 2017 budget by council members Milele A. Coggs and Russell W. Stamper, II. For more on the program, see our coverage from last week. A key piece of the Milwaukee Bucks arena district is coming together. 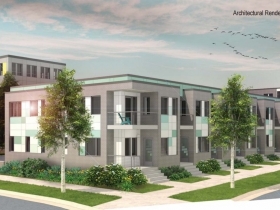 The council granted approval for a zoning change to support the Park 7 Lofts, a 107-unit apartment building. 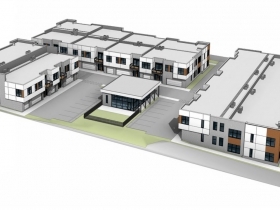 The project will be built along N. 6th St. between W. Juneau Ave. and W. McKinley Ave. It is being developed by Royal Capital Group and designed by Engberg Anderson Architects. 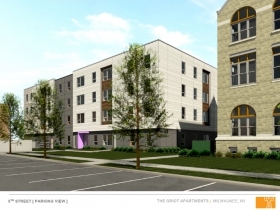 For more on the project, including a substantial debate regarding potential affordable units, see our past coverage. 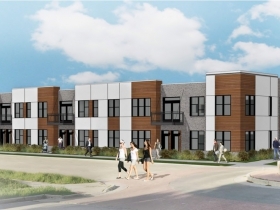 The council approved a zoning change for 1937 N. Hubbard St. in Brewers Hill that will allow for the construction of three two-story buildings. The project would also include a fourth building to be used as a clubhouse and community space for residents. The project is being designed by Engberg Anderson Architects. See more on the project, including its other phases, in our coverage from last week. 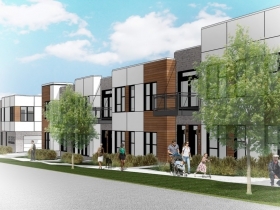 The Common Council approved a 19-lot land sale and zoning change for a three-phase apartment project in Halyard Park. 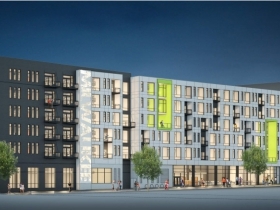 The Vangard Group, led by Kalan Haywood, would develop a mix of market-rate and affordable housing on the site bounded by W. Vine St., N. 5th St., W. Walnut St. and N. 6th St. 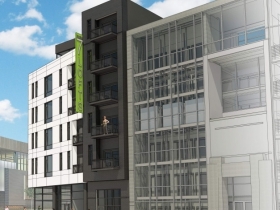 Dubbed City Place, the entire project has an estimated cost of $17.5 million. 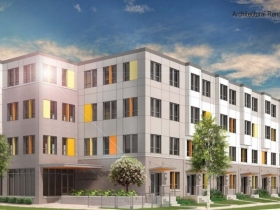 Phase one would include a four-story building with 51 units, 43 of which would be affordable housing built with low-income housing tax credits. 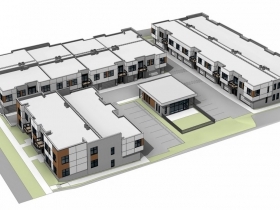 The remaining two phases, totaling 39 apartments, would be built as townhomes and a three-story building. 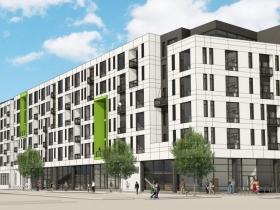 The project is being designed by Korb & Associates. For more information see our coverage from last week. 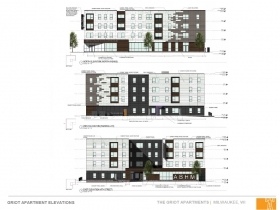 A $250,000 grant from the Wisconsin Economic Development Corporation for the development of The Griot Apartments and Garfield Avenue Apartments in Bronzeville was approved by the council. 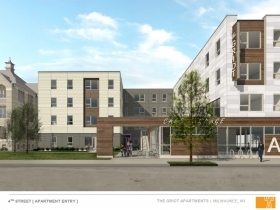 When complete, the $16.6 million project will house 71 apartments and 7,900 square-feet of commercial space spread over two buildings. For more on the project, see our most recent installment of Friday Photos. Finally, the Common Council gave the green light for the city to sell the former 5th Street School at 2770 N. 5th St. to Gorman & Company. The deal, which has been in discussion since a public bidding process in 2014, would allow Gorman to convert the building into 48 units. The building was originally in 1888, but hasn’t operated as a school since the 1970s. A city report notes that it was most recently operated as the Isaac Coggs Health Clinic and the Martin Luther King Health Care Center. Proceeds from the sale, $250,000 in total, would go to Milwaukee Public Schools. The project has an estimated cost of $9.7 million.